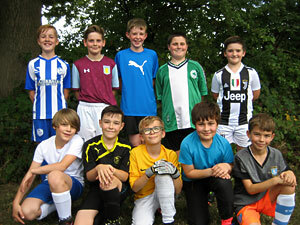 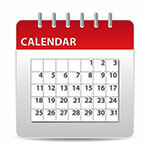 Y6 boys football training has commenced on a Monday evening 3.35pm - 4.45pm. 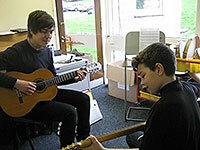 The boys are practising their football skills ready for the forthcoming league games. 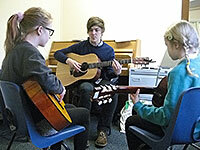 Come and join us - everyone welcome! Earlier this term, the Year 6 netball team went to Lowedges Primary School to play a friendly league. 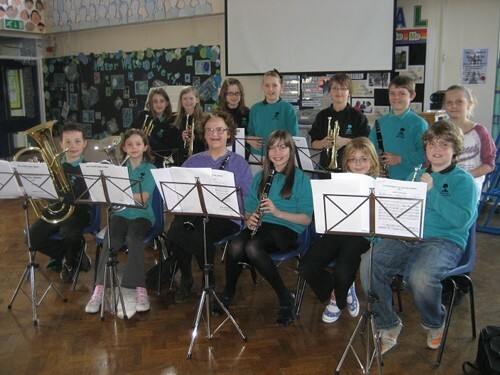 We played six other schools. 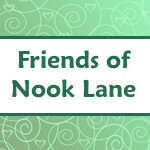 The commitment, hard work and team spirit of the Nook Lane team was exceptional. We drew our first match and won the rest. 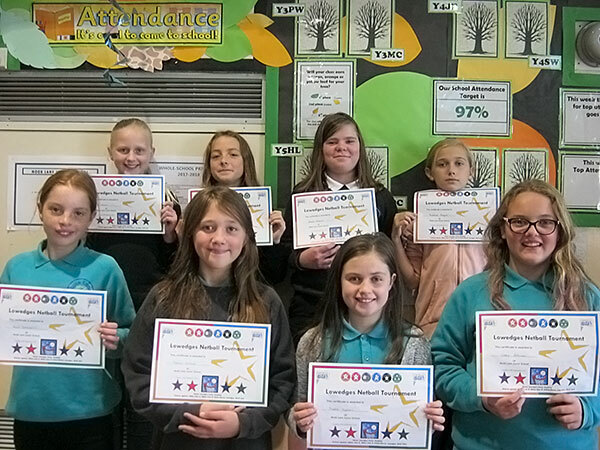 Our determination and excellent netball resulted in us winning the league. Well done! 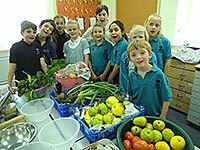 Recently Green Team harvested some of their crops. This year they've grown swiss chard, leeks, lettuce, onions, carrots, potatoes, broad and runner beans, mange tout, brocoli, tomatoes, beetroot, sweet corn and other vegetables. 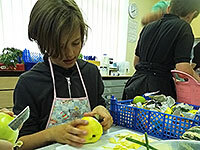 And they've had a great apple, pear, rhubarb, and greengage crop. 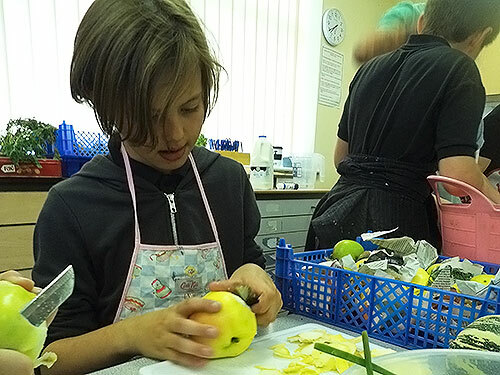 They turned all of this into great food with the inpsired culinary skills of Mr Szurko who helped the children cook potato dauphinoise, apple crumble, comice pear and cinamon in honey, and they made their own chutney. 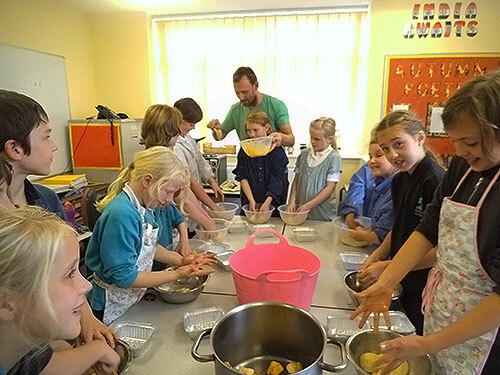 Many thanks to Mr Szurko for his super child-management and cooking skills! 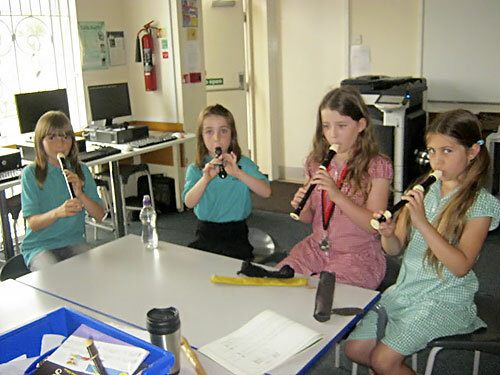 The recorder club are busy preparing for Stannington Carnival in July. 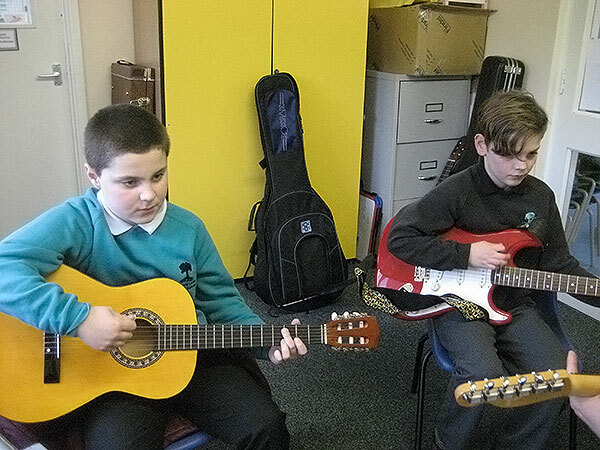 We have been practising hard and are looking forward to playing on Saturday. 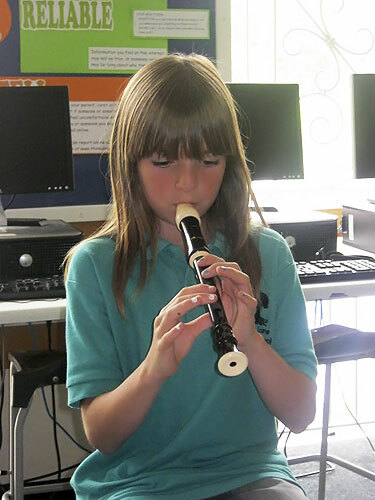 In school children learn to play brass instruments and clarinets with teachers from the Sheffield Music Service - and after a short while they can join our school band which meets every Thursday lunchtime. 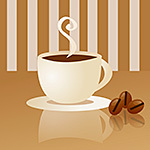 We are working really hard and improving all the time. 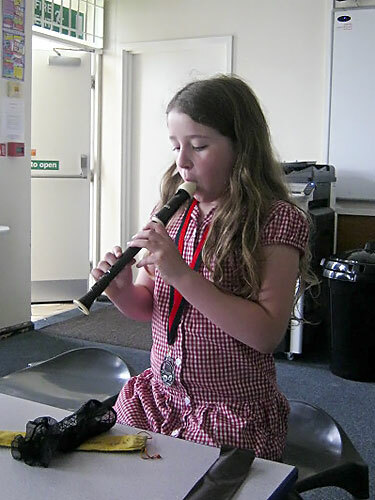 Miss Handson is extremley proud of us because we are now playing pieces from an Intermediate Band Book - but our favourite tune is Floral Dance! 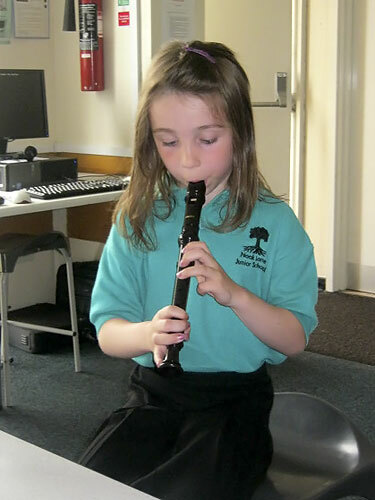 We are very lucky because Miss Littlewood, who used to teach the clarinet, comes and plays with us. 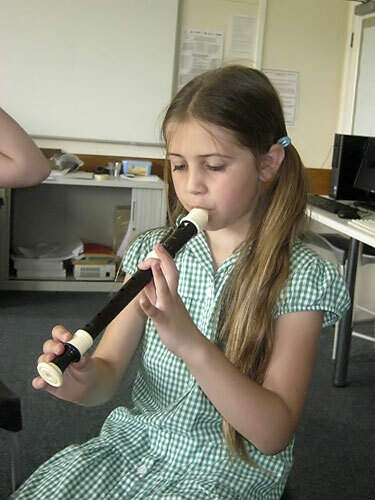 If you would like to know more about our band or how to begin playing an instrument - contact Miss Handson at school. 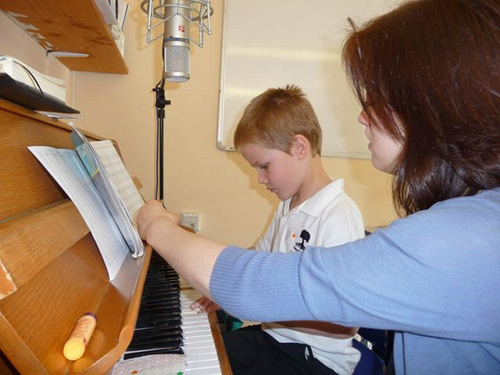 A lot of children at Nook Lane Junior School participate in weekly piano lessons with Mrs Quaye. 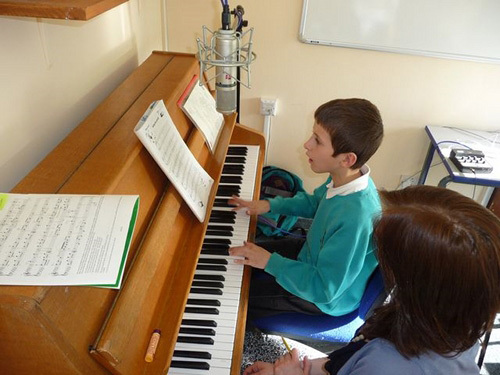 In the photos we can see some of the children taking part in a professional recording session where the songs they learnt during the term were recorded and then put onto audio so parents could listen via a web based link. 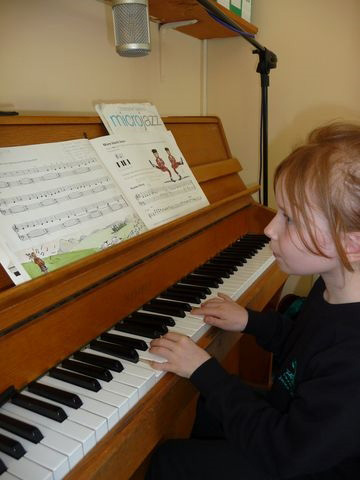 The children learn a wide variety of music styles in their piano lessons, from jazz and contemporary, to classical and romantic. 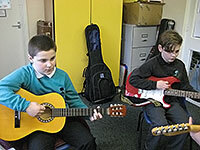 Children are taught creatively with lessons tailored to their individual needs. 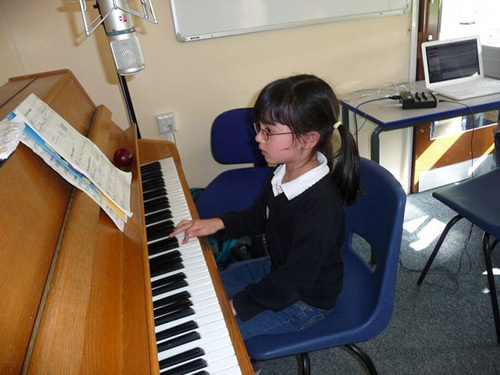 A few of the children have also recently taken their recognised ABRSM exams. 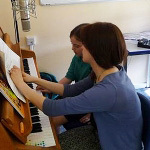 If anyone would like to consider learning the piano at Nook Lane Junior School then please enquire at the school reception where staff will be happy to pass the details to Mrs Quaye. 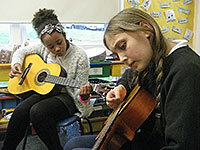 Or if you wish you can contact Mrs Quaye directly on 07746 435983. 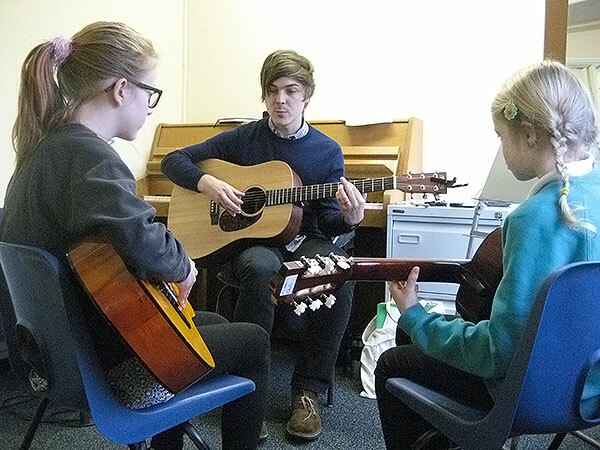 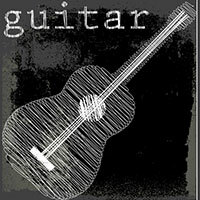 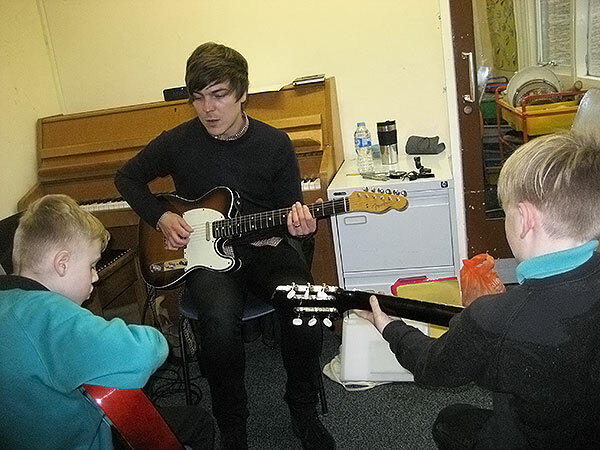 We have a visiting guitar teacher, Paul Hawksworth who attends the school on Thursdays and Fridays. 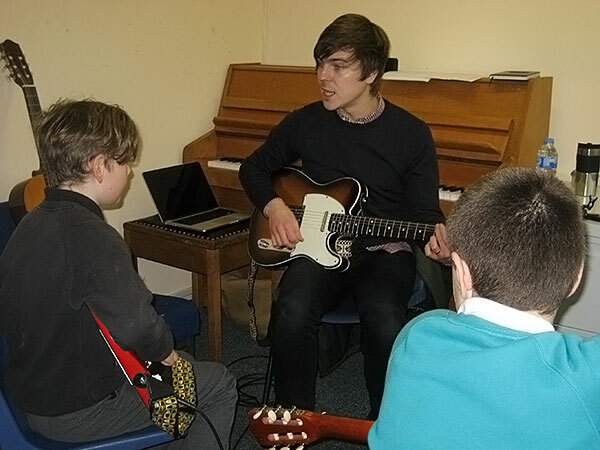 Paul has a relaxed and friendly teaching approach and places emphasis on delivering lessons that are based around contemporary music styles. 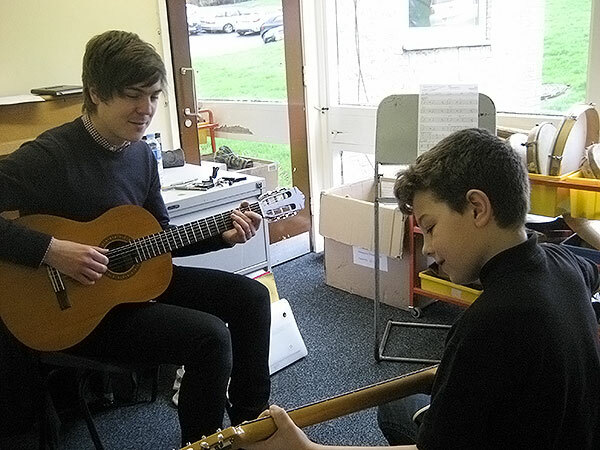 Students of all ages and abilities are welcome to take up the guitar and have the option of either shared or individual 20-minute lessons on acoustic, electric or even the ukulele. For more information please see the enrolment form where you can find details on how to apply for lessons and contact Paul directly.